Due to the recent troll visit we received here at the Tavern, I thought it prudent to put up some basic guidelines for commenting. It’s a fairly “off the top of my head” list, so it may not be worded brilliantly, but hopefully it gets the point across. Generally speaking we’ve had a very nice atmosphere here at the Tavern, but I suppose when you try and expand your audience, you’ll run into some people who disagree/don’t like what you’re saying. So be it. Despite the difficulties that come with managing an internet comment board, we’re determined to try and keep things civil. And really, that’s the simplest way to put it. Please keep things civil. That means please do not make comments or use words that could be considered discriminatory or offensive to others. What we’ve found over the past month or so is that the audience that visits our site is more diverse than we realized. That people visit from all over the world, and come from all different backgrounds. So, please keep that in mind when you comment. Please know that all three writers have full moderating power on the site, meaning all comments can be edited/deleted as we see fit, and that commenters can be banned/blocked from the site based on a number of methods. Roy and I are pretty good about reading all the comments left (there aren’t a huge number), but if there is a comment that escapes our attention or you feel is offensive please let us know. 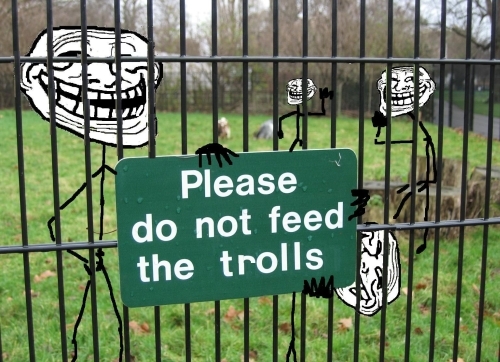 Also, if you come across a trolling comment (an obvious one) please do not respond to them. We’ll get to it and take care of it. Thanks.